If you’re as curious about human nature as I am (infinitely so, it seems! ), then you’ll delight in these titles that reveal how to truly engage readers/customers with your content. Better means creating strategies and messages more aligned with actual human nature and how we communicate right now, less aligned with enduring myths about how we should market and sell. These three books have been invaluable resources in my work and are totally consistent with what I have observed across clients and platforms. Lively, insightful, enthusiastic … download one for your next flight. To Sell is Human: The Surprising Truth About Moving Others, by Daniel Pink (Riverhead). Remember the old ABCs of selling, “Always be closing?” Through the lens of recent social science, Pink takes a fresh look and offers three new ABCs: Attunement. Buoyancy. Clarity. This book is especially refreshing for those of us who never in a million years thought we would be in sales and are terrified of becoming what one of my mentors calls “the greedy green sales monster.” Pink’s conclusions illustrate perfectly why content marketing (what I like to call context marketing) is so much more effective than the pushy, sometimes deceptive, sales tactics of the past. 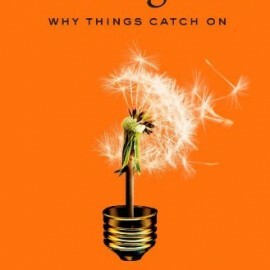 Contagious: Why Things Catch On, by Jonah Berger (Simon & Schuster). Berger is a marketing prof at the University of Pennsylvania who studies why certain content gets shared—emailed, retweeted, etc. In Contagious, he presents research findings on the six most compelling qualities of shared content. Epic Content Marketing, by Joe Pulizzi (McGraw-Hill). Pulizzi has been at the forefront of content marketing for quite some time. If you have ever doubted the power of connecting content marketing to your sales goals, this manifesto is for you. Pulizzi gives clear direction on developing niche, strategy, and process. There’s a wonderful chapter on Content Types that can help illuminate which content marketing efforts will pay off for your business in the long run. Read a great book about that changed your mind about marketing? Have comments about one of these? Share below!